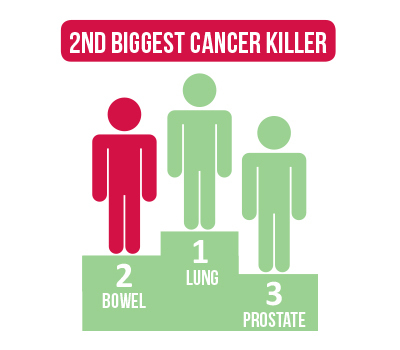 Bowel cancer (also known as colorectal cancer) is the third most common type of newly diagnosed cancer in Australia.  15,604 Australians are told they have bowel cancer each year, including 2,281 people under the age of 55. 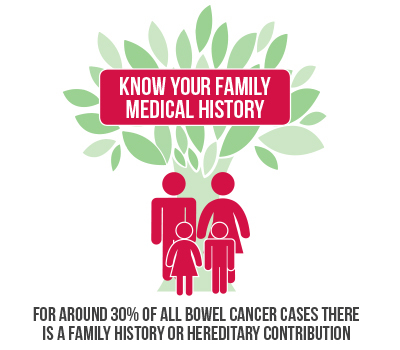 Bowel cancer claims the lives of 5,375 Australians every year, including 484 people under the age of 55. 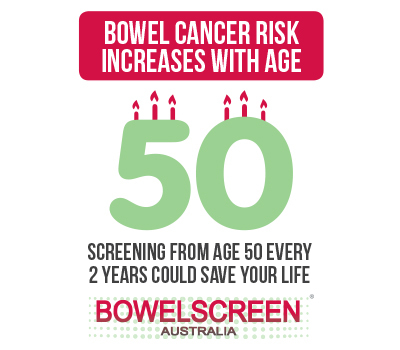 Bowel Cancer Australia recommends participating in screening appropriate to your personal level of risk. 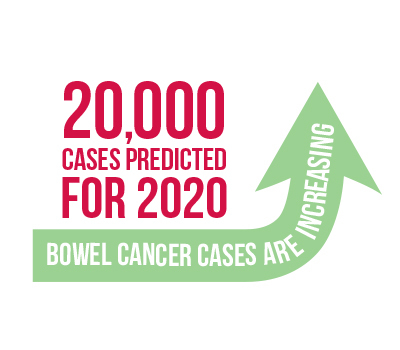 For people at average risk of bowel cancer, medical guidelines recommend screening using a faecal immunochemical test (FIT) every 2 years from age 50. 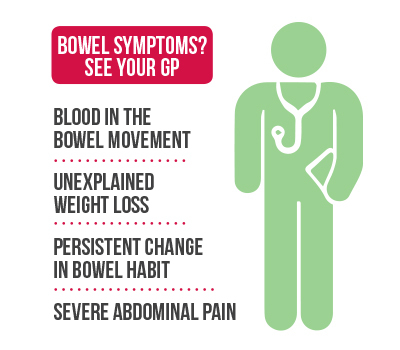 However, if you have one relative diagnosed with bowel cancer at age 55 years or older, screening should be considered every 2 years from age 45. 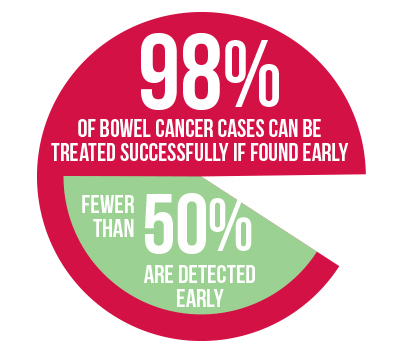 The chance of surviving at least 5 years (survival rate) for bowel cancer patients is 69.9% which lags well behind other patients with common cancers such as breast, melanoma and prostate with survival rates of around 90%.